Charles M. "Chuck" Geschke (born September 11, 1939) is an American businessman. He is best known as the 1982 co-founder with John Warnock of Adobe Systems Inc., the graphics and publishing software company and is the current co-Chairman. Geschke attended Saint Ignatius High School, and earned a BA in classics and an MS in mathematics from Xavier University, as well as a PhD in computer science from Carnegie Mellon University. He taught mathematics at John Carroll University from 1963 to 1968. Prior to co-founding Adobe, Geschke and Warnock worked at Xerox's Palo Alto Research Center (PARC). Geschke had started there in the early 1970s. Geschke formed and headed PARC's Imaging Sciences Laboratory in 1978 where he directed research activities in the fields of computer science, graphics, image processing, and optics. There he hired his long-term research partner, John Warnock and together they invented a page description language (PDL), which provided a means to describe complex forms like typefaces electronically – called Interpress. Unable to convince Xerox management of the commercial value of Warnock's InterPress graphics language for controlling printing, the two left Xerox to co-found Adobe Systems. Geschke and co-founder Warnock's Interpress language evolved into Adobe's PostScript, which when combined with hardware from Apple computer, formed the first desktop publishing (DTP) system where anyone could set type, compose documents, and print them as they appeared on the screen electronically. PostScript was marketable as it was machine-independent and extremely flexible. With this new approach, they brought their product to the market, allowing business users to greatly improve the quality and efficiency of their document production, and thus began an entire industry. From December 1986 until July 1994 Geschke was Adobe's Chief Operating Officer, and from April 1989 until April 2000 he was the company's president. Geschke retired as president of Adobe in 2000, shortly before his partner Warnock left as CEO. 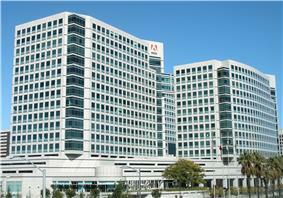 He has served as Co-Chairman of the Board of Adobe since September 1997. Geschke's company was ranked as number 1,069th on the Forbes Global 2000 in 2010, and in 2009 was mentioned in Forbes List of 400 Best Big Companies in 2009. On the morning of May 26, 1992, Geschke was kidnapped at gunpoint from the Adobe parking lot in Mountain View, California by two men as he arrived for work. He was held for four days before being recovered from a house in Hollister, California by the FBI. On May 31, Geschke was freed when a suspect caught with $650,000 in ransom money led authorities to a bungalow hideout, according to the FBI. The two kidnappers, Mouhannad Albukhari, 26, of San Jose, and Jack Sayeh, 25, of Campbell, were eventually sentenced to life terms in state prison. 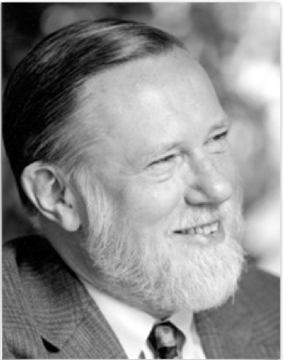 In 1999, Charles Geschke was inducted as a Fellow of the Association for Computing Machinery. In 2002, he was made a Fellow of the Computer History Museum for "his accomplishments in the commercialization of desktop publishing with John Warnock and for innovations in scalable type, computer graphics and printing." In October 2006, Geschke, along with co-founder John Warnock received the AeA Annual Medal of Achievement Award, making them the first software executives to receive this award. In 2008 he received the Computer Entrepreneur Award from the IEEE Computer Society. In 2009, he also won the 2008 National Medal of Technology, awarded by President Barack Obama. On Sunday, May 20, 2012, Geschke delivered the Address to the Graduates (Keynote Address) at John Carroll University in University Heights, Ohio where he was a mathematics professor early in his career and was awarded an Honorary Doctorate of Humane Letters. Geschke serves on the boards of the San Francisco Symphony, the National Leadership Roundtable on Church Management, the Commonwealth Club of California, and Tableau Software. He serves on the computer science advisory board of Carnegie-Mellon University, the Board of the Egan Maritime Foundation, and the board of the Nantucket Boys and Girls Club. He is also a member of the National Academy of Engineering and an ACM Fellow. Also, in 1995 he was elected to the National Academy of Engineering, and in 2008 he was elected to the American Academy of Arts and Sciences. He recently, in 2010, completed his term as Chairman of the Board of Trustees of the University of San Francisco. In 1964, Charles Geschke married Nan, and the two are still married with children and grandchildren. He is a Catholic. ^ a b Download images | Adobe leaders. Adobe.com (2013-04-17). Retrieved on 2013-07-21. ^ a b c Charles M. Geschke Co-Chairman of the Board Adobe Systems Inc. Forbes. Accessed December 31, 2010. ^ a b Classical Studies Dr. Charles M. "Chuck" Geschke. Willamette University. Accessed December 31, 2010. ^ a b c d Charles Geschke 2002 Fellow Awards Recipient. Computer History Museum. Accessed December 31, 2010. ^ a b c d Charles Geschke Bio. Santa Clara University. Accessed December 31, 2010. ^ a b "FBI rescues a kidnapped businessman". The New York Times. p. B7. Accessed December 31, 2010. ^ Wittenberg, Ed. "John Carroll University commencement among events this weekend in University Heights". The Plain Dealer. Sun News. Accessed May 20, 2012. ^ About. San Francisco Symphony. Accessed December 31, 2010. ^ Governors of the Club. Commonwealth Club of California. Accessed December 31, 2010. ^ Board of Directors Dr. Charles Geschke. Tableau Software. Accessed December 31, 2010. 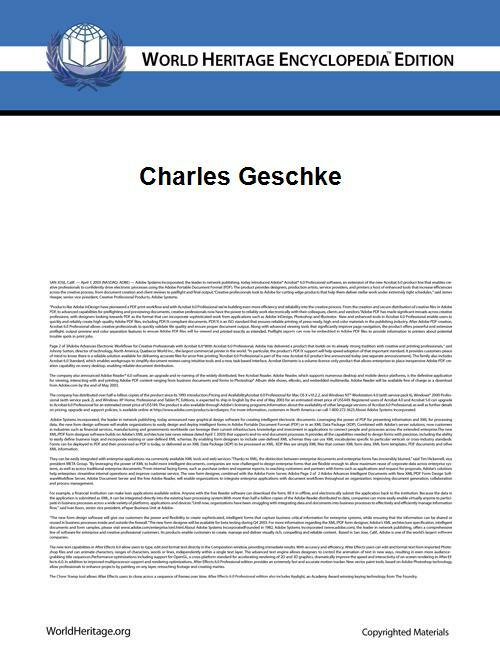 ^ "Charles M. Geschke On Power Ambition Glory". Forbes. Accessed December 31, 2010. Anonymous, "Silicon Valley Kidnapper Sentenced to Life", San Francisco Chronicle, March 10, 1994, at A21.